Good morning from the Holy City! I’ll be your virtual guide today. Follow me through the windows and enjoy! 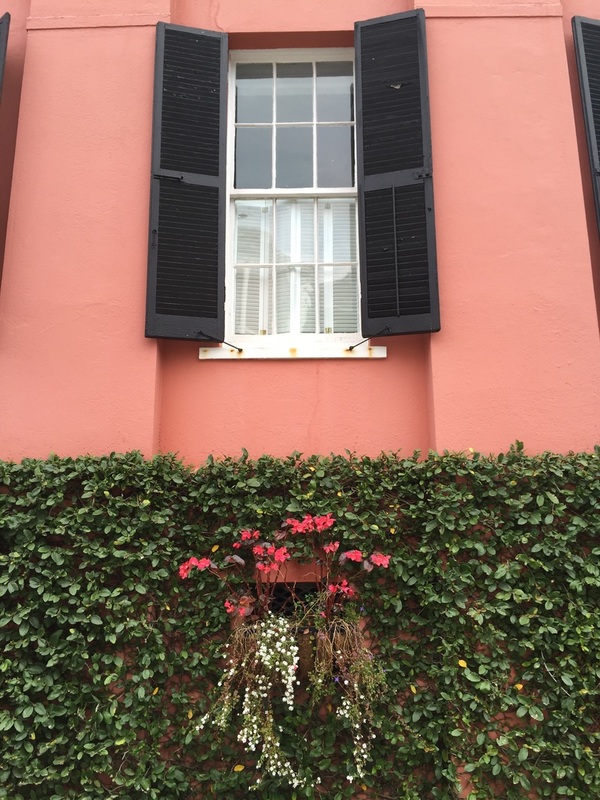 To start…open your window and feel the ocean breeze from your room in the Charleston Historic District, The Isle of Palms, Shem Creek or wherever you are. Open your window and let the sun come in and put the most beautiful smile on your face. ​Home might be cozy, but outside is more inviting. Go and have a French breakfast at the French Quartier where you can definitely find a nice restaurant and feel like you’re in Paris. Done? Heading to the office now? Working for which of the multinationals that have created a new Silicon Valley over here: Boeing, Mediterranean Shipping Company, Mercedes Benz, BMW, Volvo or Google, just a few miles away? We’re getting ready for the Spoleto Festival. Are you one of the participating artists maybe? 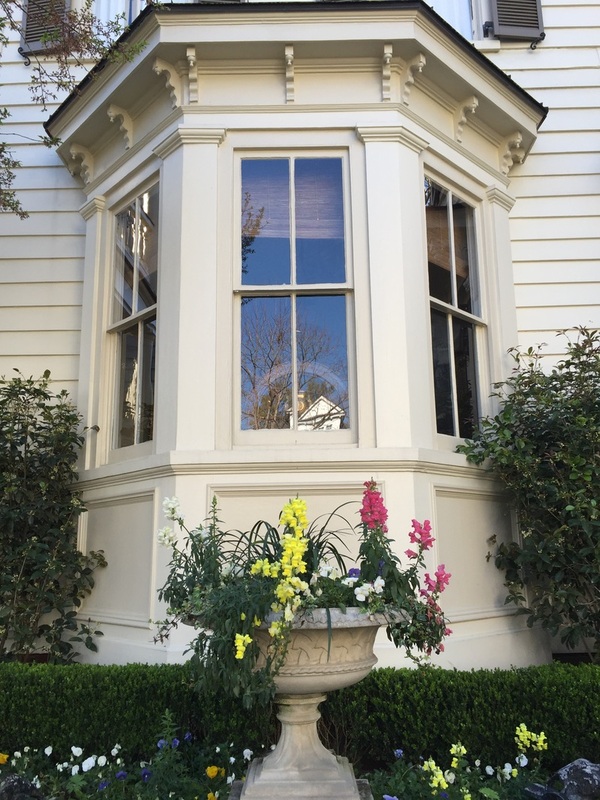 I know, whatever you do you can’t go without noticing all the beautiful and colorful windows along the way. What is your favorite color or flower? Look at these pictures and find the perfect combination of shape and style. Time flies by and you are ready for lunch now. Southern cuisine, American burgers, traditional casseroles, steaks, seafood, Mediterranean fair, Asian maybe? Just decide what you’re in the mood to taste today and you will have it on your table. Tomorrow you can go for other flavors and feel so good that the Southern Comfort of Charleston now also offers traditional experiences same as in Italy, Greece, Turkey, Japan, Thailand, or all over America. I know, it’s too hard to stay just by your desk, ain’t it? Better go to your window and look through it. You can find the world out there. Various nationalities, numerous styles, but the same southern hospitality. Everybody greets you and offers to help any time if you need it. It’s 5pm already. Heading to happy hour? Everybody will be there. Hope you’re thirsty. We drink beer instead of water here. But, if you want a more quiet evening, you might want to attend one of the events of the Charleston Library Society, the 2nd oldest library in the US. Or get to know the sound of the Charleston Symphony Orchestra. Or see a play at the Sottile Theatre. If you’re more into sports, keep in mind that the Volvo Car Open Tennis Tournament will take place this week. Hockey and the South Carolina Stingrays are another option. Just let me know what you prefer. I bet it was a long day, but no doubt you’ve enjoyed it at the fullest. Going back home now? Which street, King, Queen, Prince, Princess? I’m not joking. These are real street names and you will feel that special walking along. Bedtime? Look through your window and say good night to the moon, close your eyes and lose yourself in your dreams. ​Tomorrow will be another day. A better one as we all say down here!